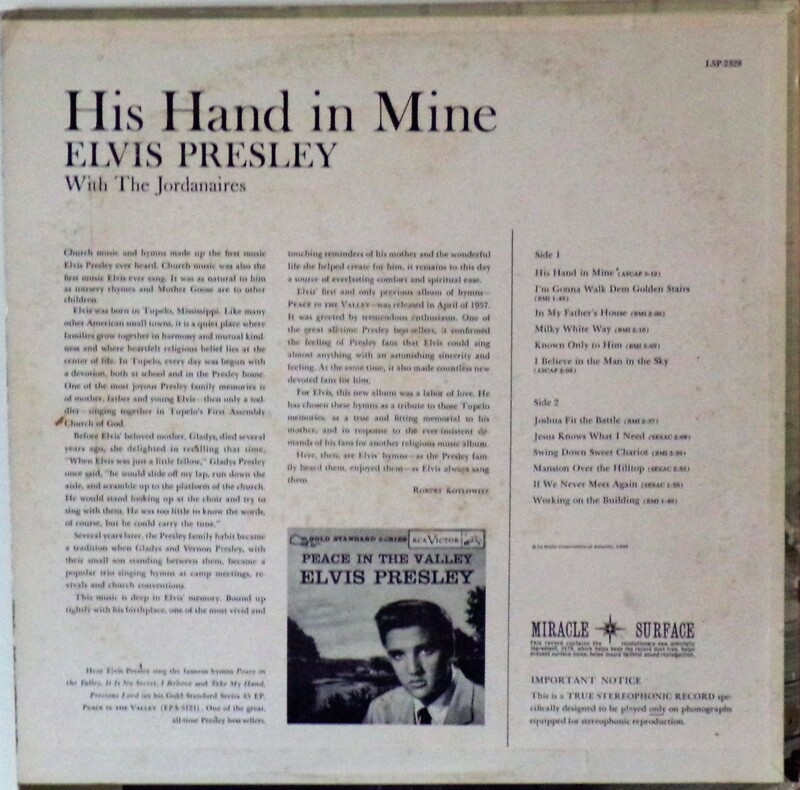 His Hand in Mine is the twelfth album by Elvis Presley, released on RCA Victor Records in mono and stereo, LPM/LSP 2328, in November 1960. 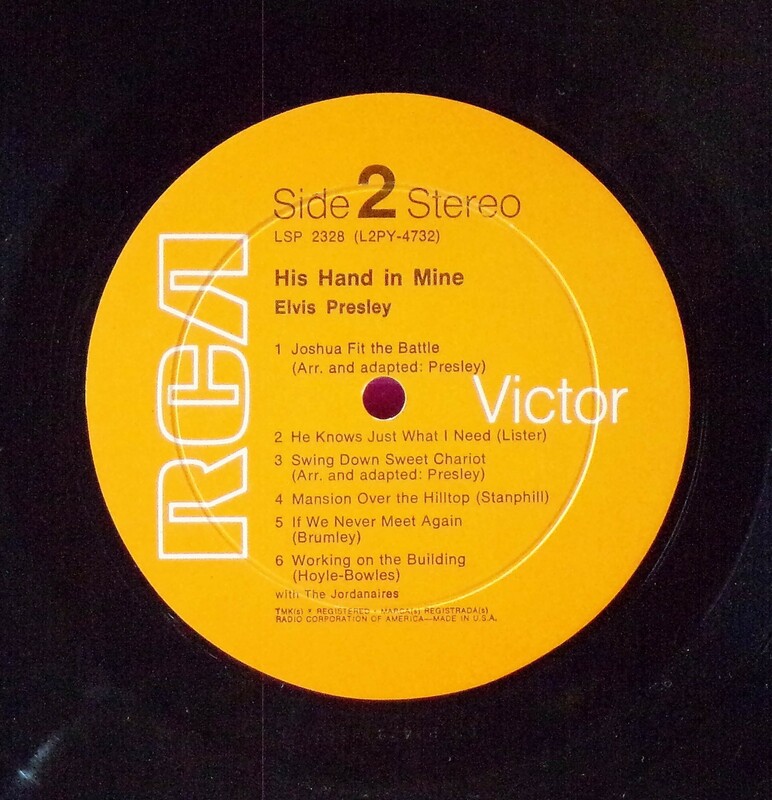 It was the first of three gospel music albums that Presley would issue during his lifetime. 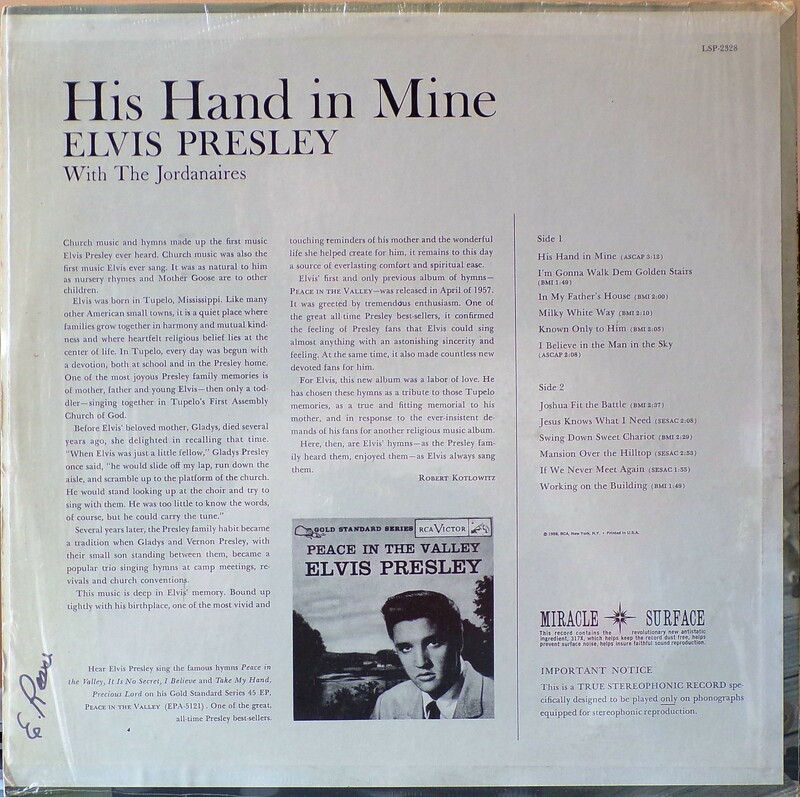 Recording sessions took place on October 30 and 31, 1960, at RCA Studio B in Nashville, Tennessee. It peaked at #13 on the Top Pop Albums chart. 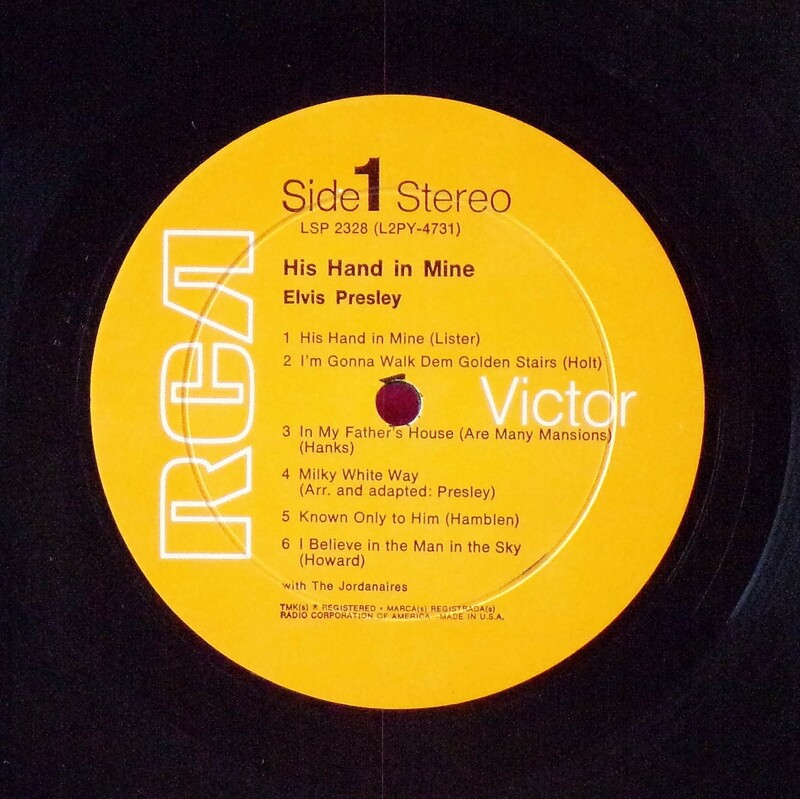 It was certified Gold on 4/9/1969 and Platinum on 3/27/1992 by the R.I.A.A. 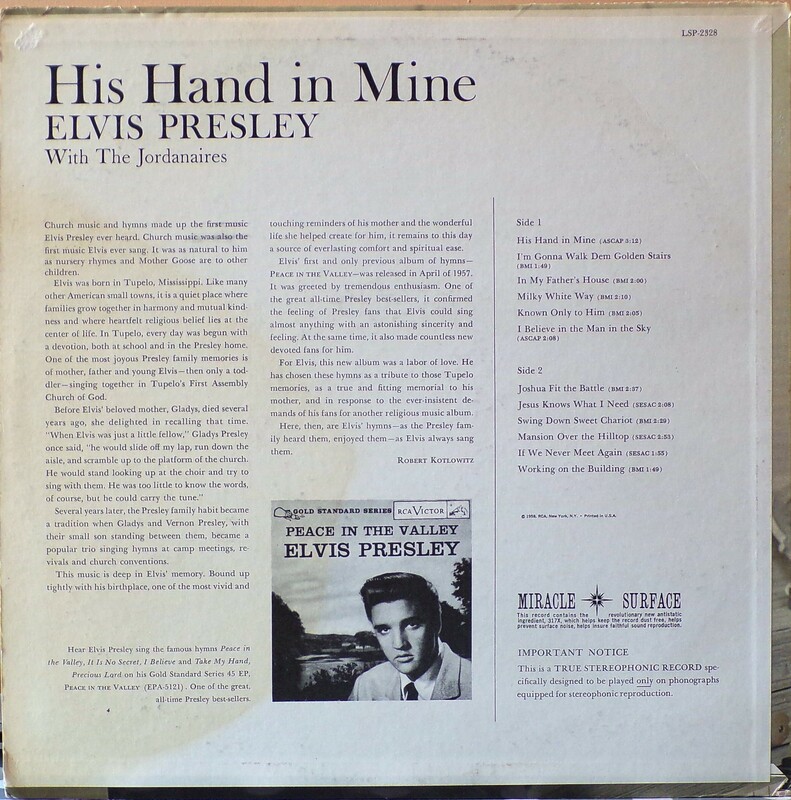 Presley had a lifelong, fundamental love of church music, and often used it to rehearse and loosen up before concerts and at the beginning of recording sessions. 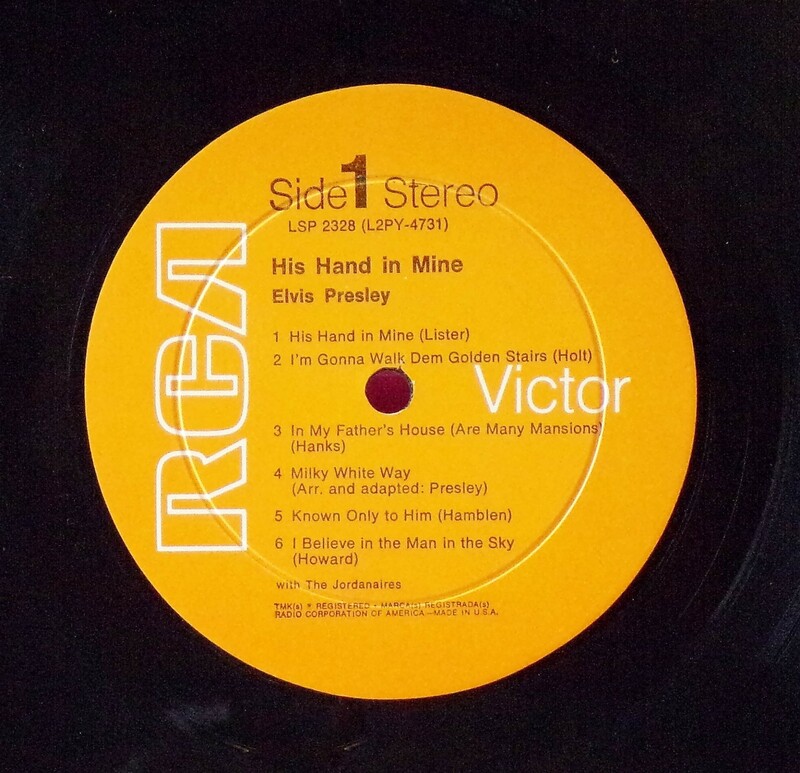 Presley had earlier devoted an extended play single to his love for gospel songs, and was eager to record a full album of this music. This fit well with the Colonel's plan to steer his client into a family-friendly image as he switched Presley's career concentration toward movie stardom in Hollywood. All the selections for His Hand In Mine were completed in one fourteen-hour session. 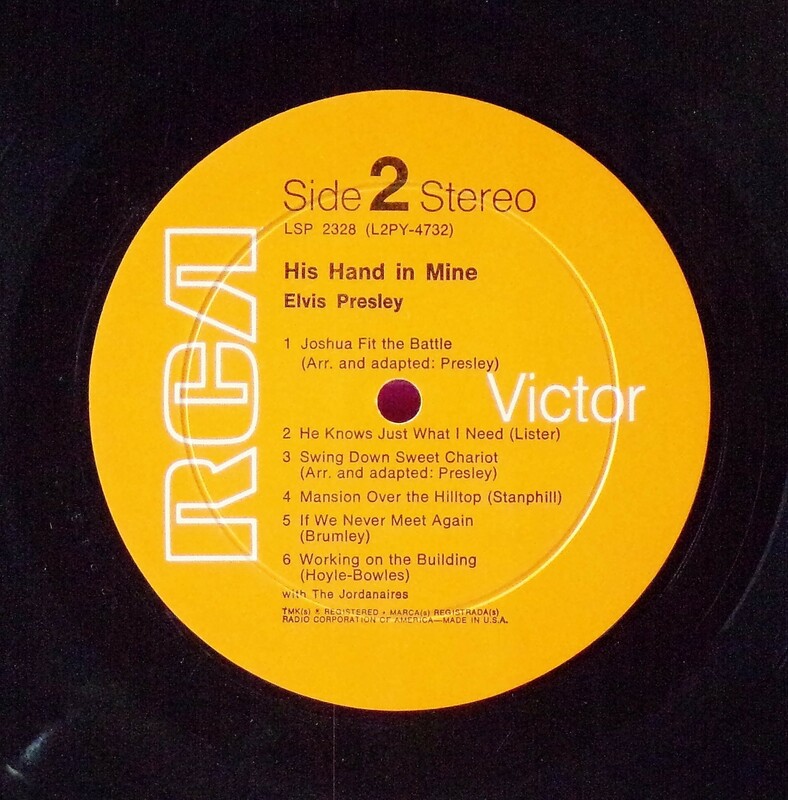 The songs "Surrender" and "Crying in the Chapel" were recorded during the session, but withheld for issue as singles. "Surrender" would be his first single of 1961 and top the chart, but "Crying in the Chapel" would wait until April 1965 to be issued, going to #3 on the chart. Presley later re-recorded "Swing Down Sweet Chariot" (not to be confused with the popular "Swing Low, Sweet Chariot") for the soundtrack of his 1969 film, The Trouble with Girls. This album was reissued on vinyl under a new catalogue number ANL1-1319 by RCA in 1976. It has a completely different front photo, and the back photos were replaced with advertising of many different available albums from RCA. It does contain exactly the same tracks as the original issue. 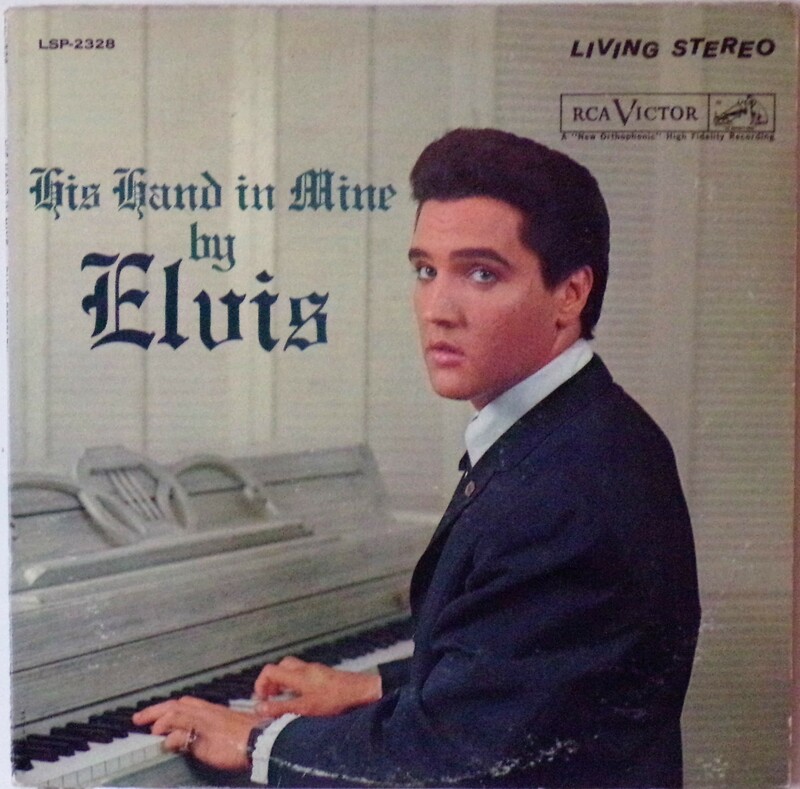 Front Cover : Elvis at the piano. Catalogue number top left. Logo top right. Living Stereo top right. 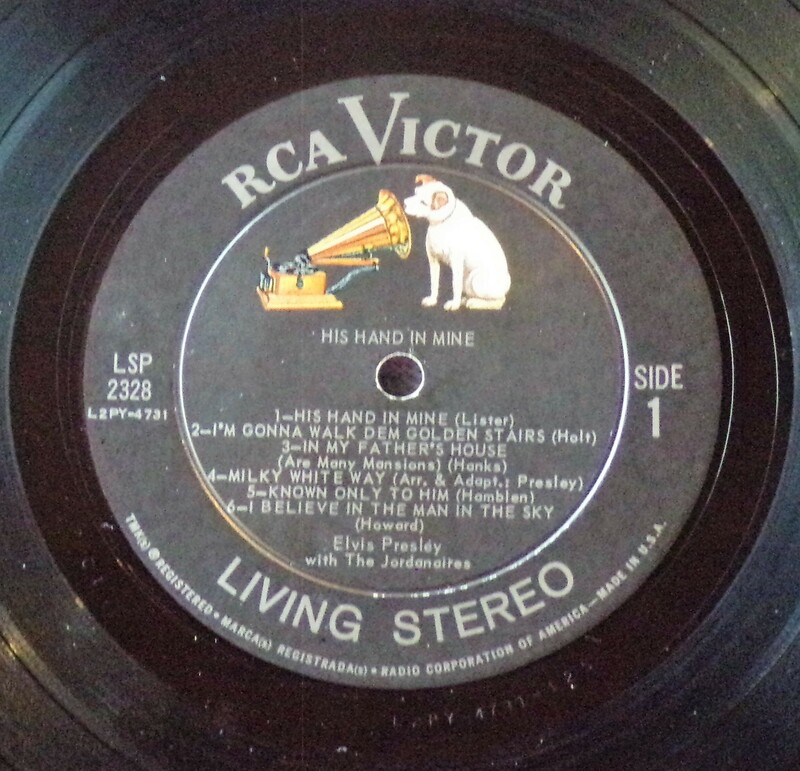 Bottom side left Printed In U.S.A.
​Rear Cover : Text enclosed around advert for Peace In The Valley EP. Catalogue number top right. Side 1 : Right side has Side 1 . 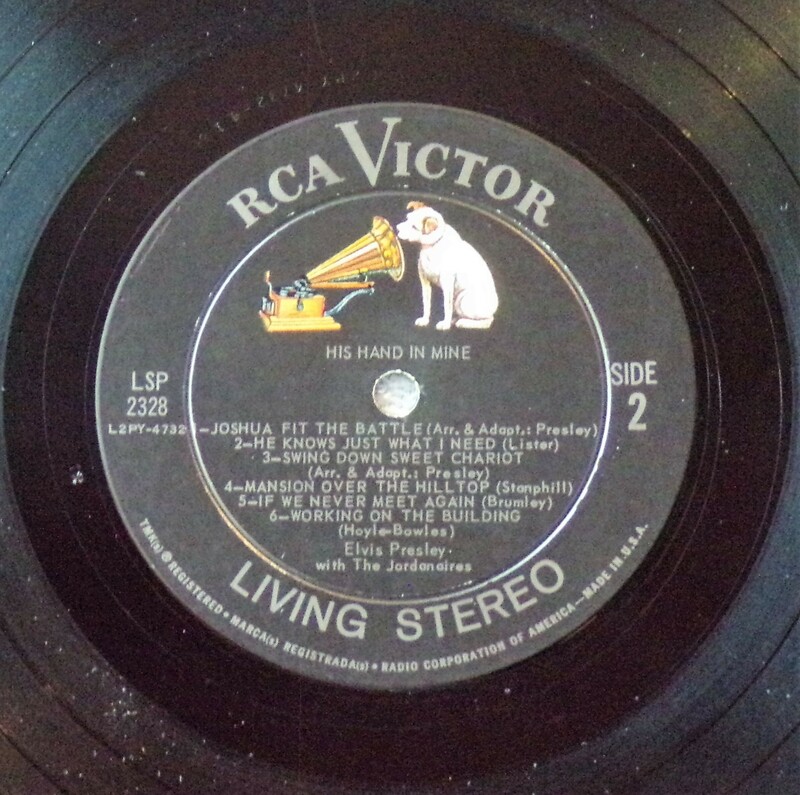 Living Stereo at bottom. ​Side 2 : ​Right side has Side 2 . Living Stereo at bottom. ​Rear Cover : Text enclosed around advert for Peace In The Valley EP. Catalogue number top right. Number "4" bottom left. Label : Orange. Rigid vinyl. Side 1 : Side 1 Stereo at top. ​Side 2 : ​Side 2 Stereo at top. *NOTE* Rear cover number "4" bottom left. 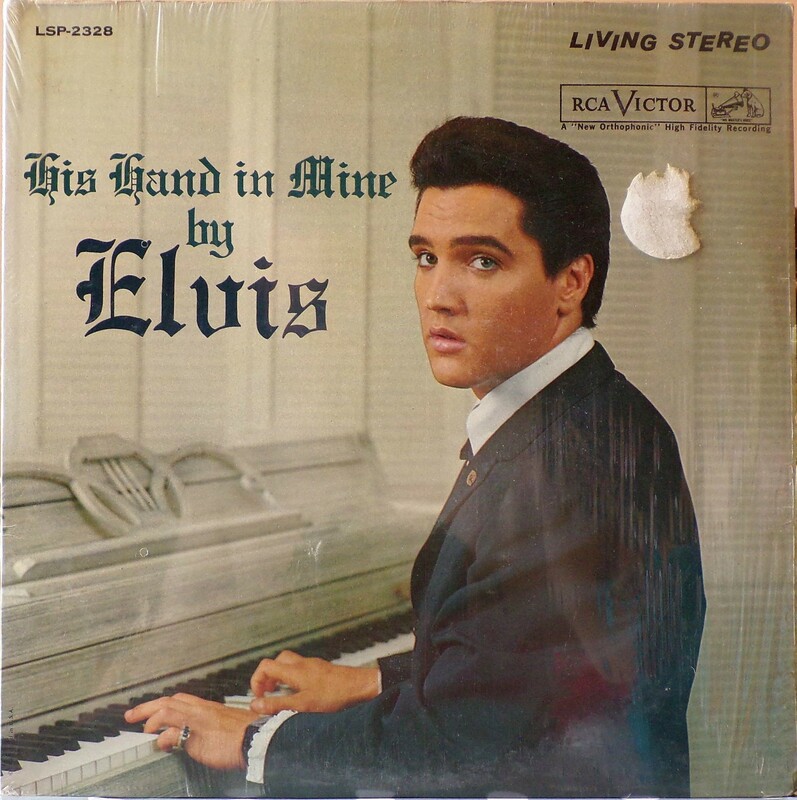 Front Cover : Elvis at the piano. Catalogue number top left. Victor Stereo top right. "RE" bottom left. *NOTE* Front cover "RE" bottom left. Rear cover number "4" bottom left.